Replacing old world sustainability with new world change. In many ways there is no better metric to define conferences than by the attendees that attend them. When we met with SXSW leadership for the first time, SXSW Eco attendees represented a mixed bag of environmental activists, policy leaders, and smaller sustainable technology companies hoping for exposure. Our challenge was to shift this base of attendees by drawing a mix that is on the forefront of social change internationally. How do we attract the urban planners, engineers, architects, designers, thought leaders, and policymakers required to create a meaningful mix of potential collaborators? And on the corporate side, how do we move from sustainable crop fertilizers to the Teslas and Nests of the world? Reposition SXSW Eco from the inside out. 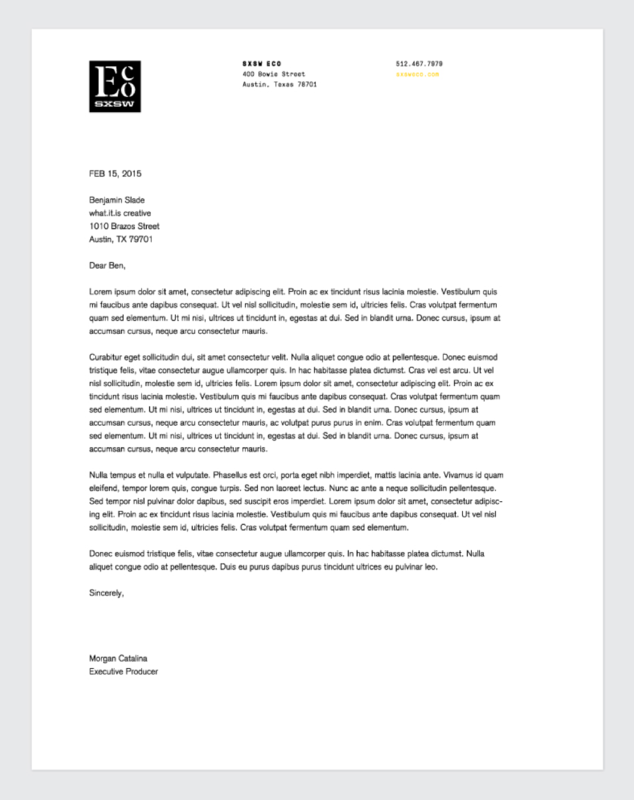 Working with SXSW Eco leadership, and SXSW top messaging and copywriting team, we developed new positioning, mission, and vision statements to delineate SXSW Eco’s positioning in the market, and provide clarity in terms of the format of the conference and who it is for. Develop a brand that drives home the new positioning and builds engagement within target customer groups. SXSW has built a global brand bucking trends, and doing things their own way. Our brand for SXSW Eco combines punk and DIY influences with innovative typography and imagery to push content first, while placing the conference in a clearly design-driven, forward leaning space. Create a conference experience that delivers an experience as unique and innovative as the attendees we hope to attract. 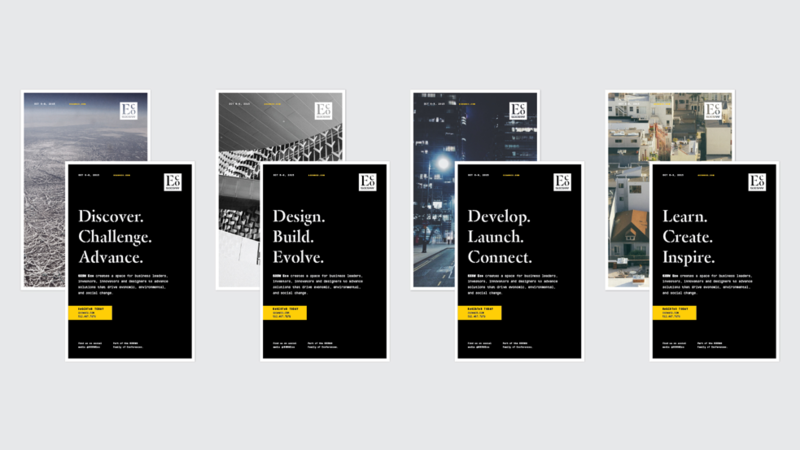 Working closely with SXSW Eco we developed the collateral, infrastructure and wayfinding required to reinforce the brand and deliver on the promise of the new brand experience from registration to sessions, keynotes, and conference events. From large-scale newsprints to program guides, SWAG, and conference badges themselves, SXSW Eco’s brand was built to convey the content of the conference itself in as concise and engaging a way as possible. And every year, a fresh palette. 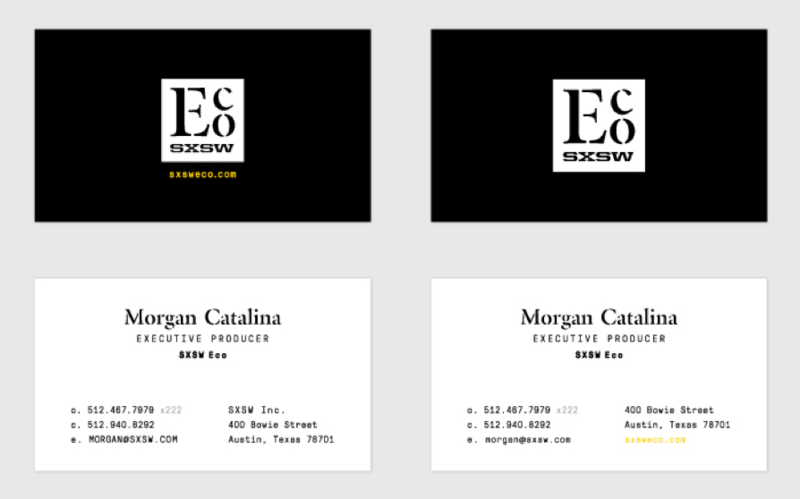 The SXSW Eco brand is predominately black and white, with one accent color to draw attention to specific content. By relying heavily on the black and white system, we are able to introduce a new color each year to breathe new energy into the conference, and distinguish this year from the years before it. From the welcome packets to the keynote experience, we worked with SXSW to ensure every aspect of the conference experience was considered. By doing so, we reinforced the positioning of the conference while driving brand recognition through press and media at the conference itself.